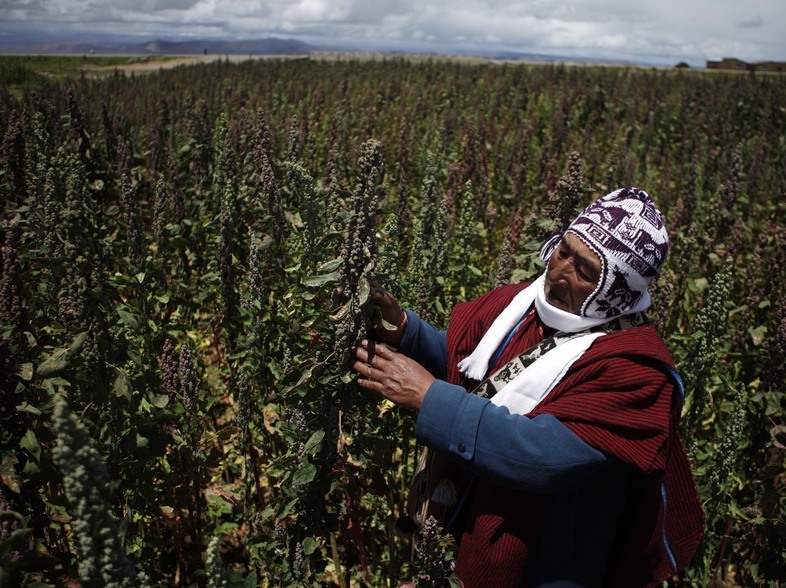 Farmer Geronimo Blanco shows his quinoa plants in Patamanta, Bolivia, in February. 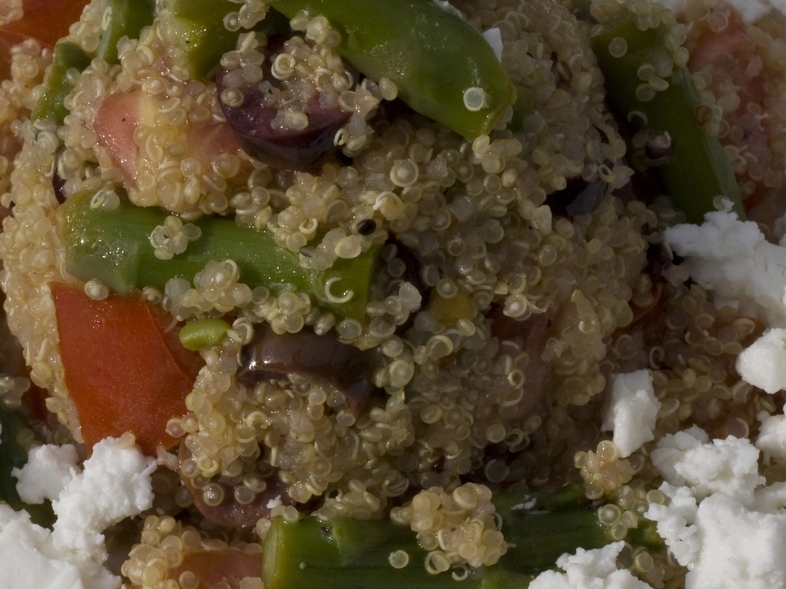 A burgeoning global demand for quinoa has led to a threefold price increase since 2006. Some would point to the cities of Bolivia and Peru. I’ve already mentioned that quinoa is three times more expensive than rice in La Paz markets. And according to an article in The Guardian, quinoa is more expensive than chicken in markets in Lima. This entry was posted in Uncategorized and tagged Quinoa by admin. Bookmark the permalink.